- This style runs true to size. - Loose style. - Model's height is 177cm / 5'10" and wears a size XS/S. Stay neutral this spring in knits like DKNY's khaki cashmere-blend cardigan. Wear this draped style loose or tied at the waist to add texture to tailoring. Shown here with a Kain top, Christian Louboutin shoes, Tomas Maier skirt and a Mulberry bag. 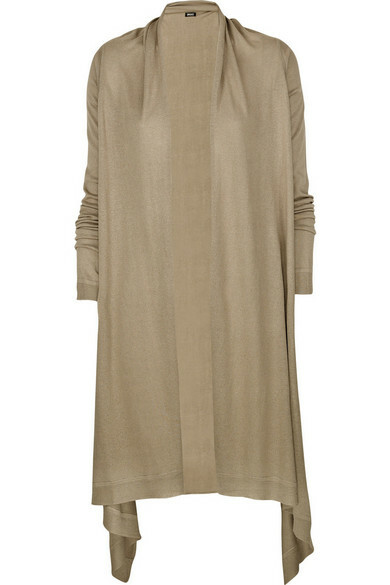 Khaki cashmere-blend cardigan with an asymmetric draped front. DKNY cardigan has an open front and long sleeves with contrasting ribbed cuffs and can be styled in many different ways. Please contact the fashion advisors for additional styling suggestions. 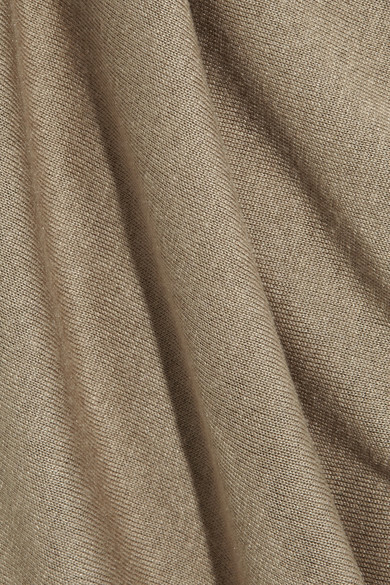 85% silk, 15% cashmere. Dry clean.